Today, I finally have the Zoya Sunsets Summer 2016 collection to show you! These are six bright creme finishes. As a lover of cremes, I'm very excited for these! Mmmm, aren't they so lovely?! *There's a current giveaway running for this collection + its sister set of PixieDusts, the Seashells! Pretty much every shade in this set required some degree of color correction in post. I feel that most of them are fairly accurate, but if you notice any weirdness in the watermarble accent nails, it's due to the color correction. I can only 100%-accurately correct for one hue at a time, so in a photo with six colors that all need adjustment, sometimes other colors will be slightly off. Needless to say, this is super frustrating for me, but it's very important I try to represent the main color being swatched as accurately as possible! Mellie, Candy: one, creamy swipe with medium pressure! OKAY! Ready to see these polishes already? Ness is a creamy, swampy green that's not too yellow or blue-toned. It almost has a milky quality. Very unique! Formula: It's creamy and on the thicker side, but applies pretty easily, self-leveling well. It is fairly opaque on the first coat, but you can get sort of streakier areas where the polish separates? It's not like pulling/ dragging! It's hard to explain- sort of like how oil and water mix? Anyway, it's easily fixed with a few more brushstrokes and a second coat. Overall, quite nice! Dory is a creamy, darker sort of sky blue that borders on periwinkle. It's definitely got a hint of purple in it! Lovely shade! Formula: It's very similar to Ness, except the dry-down seems slightly quicker, so you have a smaller amount of time to make strokes down the nail. (Still no dragging isssues, though.) That said, it's very nice, creamy, and easily opaque in two coats! However, like Ness, it also dries down a bit darker than liquid bottle color. Liv is a warm-toned grape creme. This is a mid-tone, red-based purple. Brynn is a saturated medium fuchsia creme- a warmer kind of dark pink. Formula: It's very creamy and also very smooth and self-leveling to apply, but there's definitely VNL on the first coat, so you pretty much need two coats for this one. Still, very good. Dixie is a bright cerise-coral creme. Love! While this is still wet, it really is almost a neon in intensity. It dries down slightly darker, although it's still quite vibrant. Formula: It seems a bit thicker than some of the others, but like Brynn, there's definitely visible nail line after the first coat despite it being creamy and pigmented. Very easy to control though: self-levels, dries down quickly, and is opaque in two easy coats! I wore this alone on my right, non-swatchin' hand for about a week and it did stain the nail beds a little. I had OPI- Original Nail Envy underneath, which I don't think is the best protection from staining, but still. This color also wants to stain the skin and cuticle when you remove it. Just a note! Cam is a Summery, mid-toned orange creme. It maybe leans to the red side of orange (as opposed to the yellow), but it's pretty balanced and very saturated. It is a little brighter and more pigmented than my pictures show, actually. Formula: It's very similar to the others: medium viscosity, creamy, easy to control, and dries down quickly. It is still too sheer in places on the first coat, so I definitely needed two to make this opaque. Very nice though! These cremes are excellent for watermarbling! They are a great consistency, and spread in the water easily. So, bonus! Overall, this is a fantastic set of bright cremes- especially for someone looking to build up their collection of basics! I believe I probably have close dupes for nearly all of these shades. The exception might be the green, Ness. I didn't have a chance to comb through my swatch sticks this time, though. So are they the most unique cremes ever? No, but they are saturated, the set is cohesive as a whole, and each color is beautiful individually! As far as formula goes, Zoya advertises these as one-coat cremes; but, for me, none of them were completely opaque and streak-free in just one coat. Many of them were very close, though! And, overall, all of the formulas were excellent: creamy and pigmented, self-leveling, easy to work with! All were opaque in two coats. So, if you don't expect one-coat creme perfection (very few polishes ever are, in my experience), these have awesome formulas! Did you purchase any of these during Zoya's recent BOGO promo? Enter to win this complete Sunsets set + the Seashells collection at my giveaway! 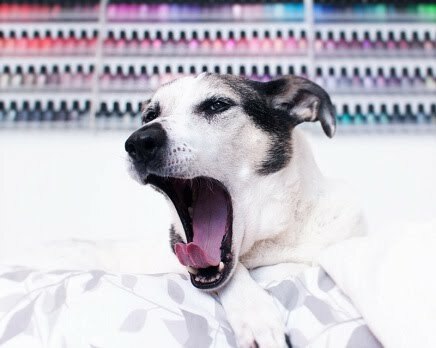 This giveaway runs for two more weeks, and there are also two other prizes featuring some of Zoya's pretty sampler sets!